I’m getting my Christmas crafting underway early this year. I like to give a little handmade something to everyone on my Christmas list, and several of my relatives always want books. So how about a seasonal bookmark to slip into a gift book? I have a few metres of bright red 1” wide grosgrain ribbon that I once bought to trim a dress I made. When the dress was finished I decided that it needed no adornment, and the bundle of ribbon has been in a drawer ever since. Perfect! A quick image search on t’Interweb brought up some suitable outline drawings of Christmassy subjects. I’m determined not to buy any more craft materials until I’ve got my stash under control – unless there’s an essential need, or I see something absolutely gorgeous, of course! – which meant the next step was to see what colours of felt I had. 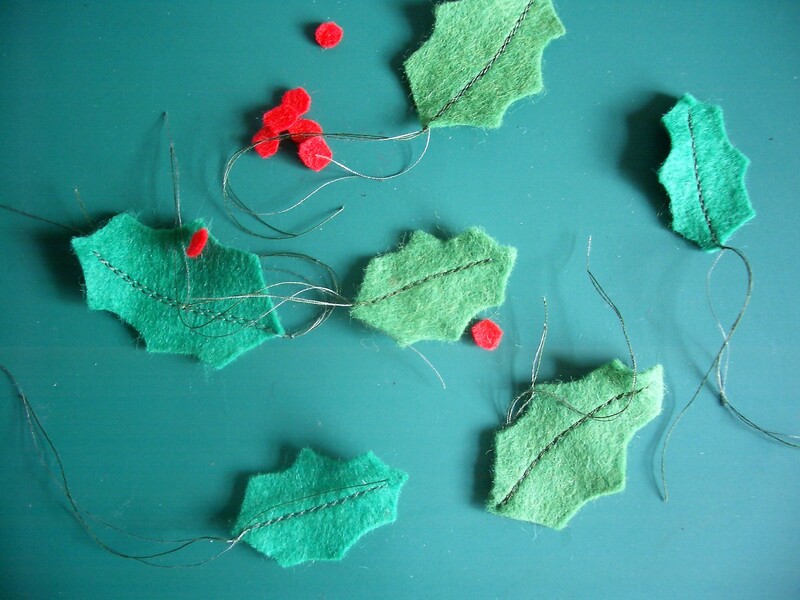 I found plenty of red and white from when I made some Scandi-style tree decorations a few years back, and also black, two shades of green and oddments of other colours, including orange. Great, that lot sounds like the makings of Santas, holly and penguins to me. Here’s what I made in a surprisingly short time. The degree of sewing is minimal – just the ribs on the holly leaves and the penguin’s eyes – because I used craft glue to hold all the pieces in place and stick them onto the ribbon. The holly bookmark was the least fuss and is, I think, the most suitable for adults. Santa and the Christmas penguin were fiddly but should go down well with little kids and teenagers. 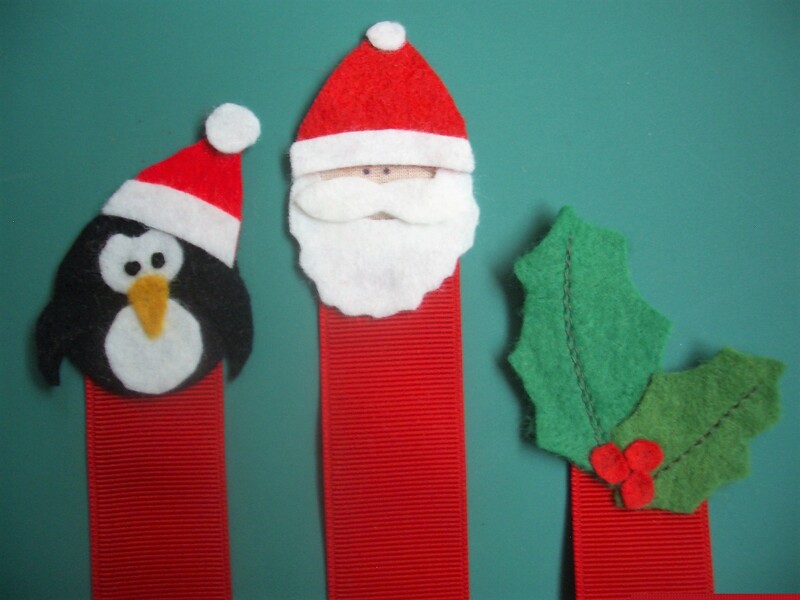 This entry was posted in sewing and tagged Christmas bookmark, felt, felt bookmark. Bookmark the permalink.